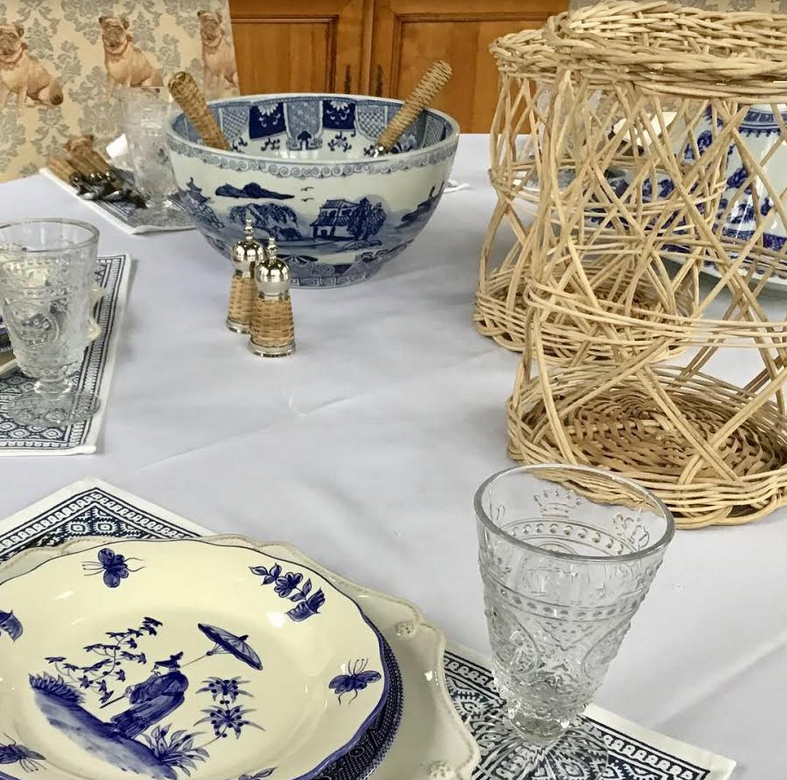 As I shared with you last week, I got in part of my new wicker/basket weave line of products and it was love at first sight. 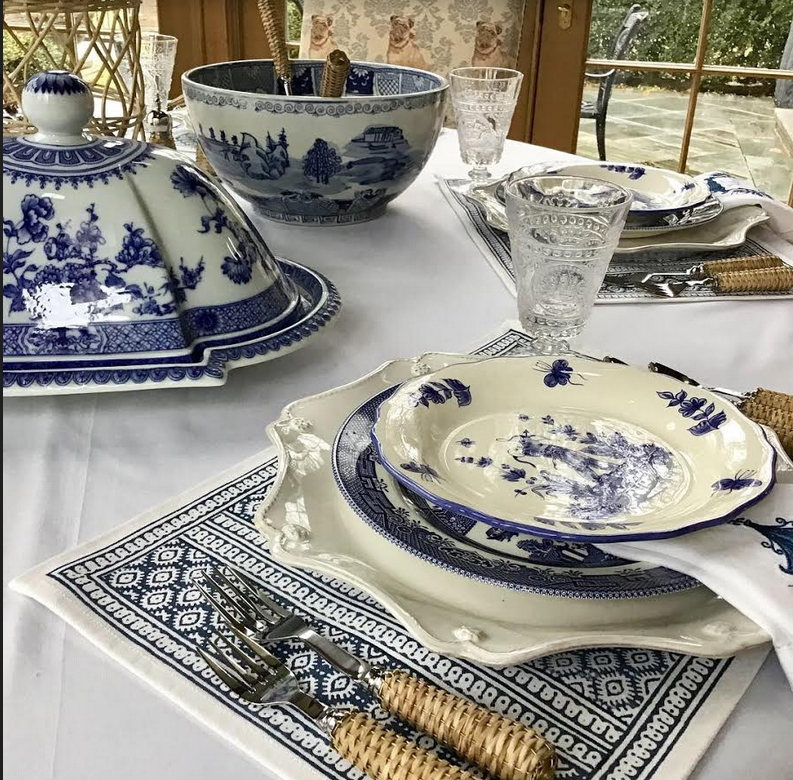 I had to immediately set a table and just love how it looks against the crispness of the blue and white. I really like the way the texture of the pieces works against the porcelains. A friend is coming in from out of town for lunch next week and I decided to set the table a little early….why not! 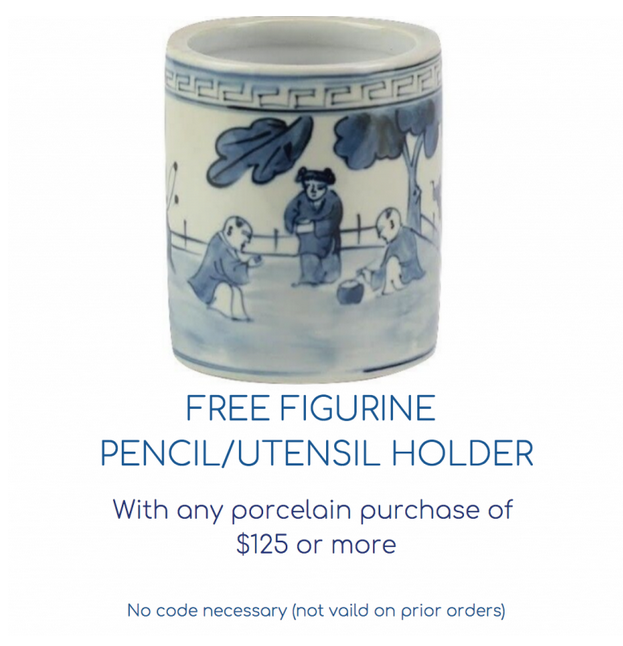 In case this post is giving you a case of “blueandwhite-itis”, or you have had your eye on any of our fabulous blue and white pieces, especially now that all of our newest arrivals are on line here’s a little offer to sweeten the deal:) With any purchase receive this beautiful pencil/brush/utensil holder! 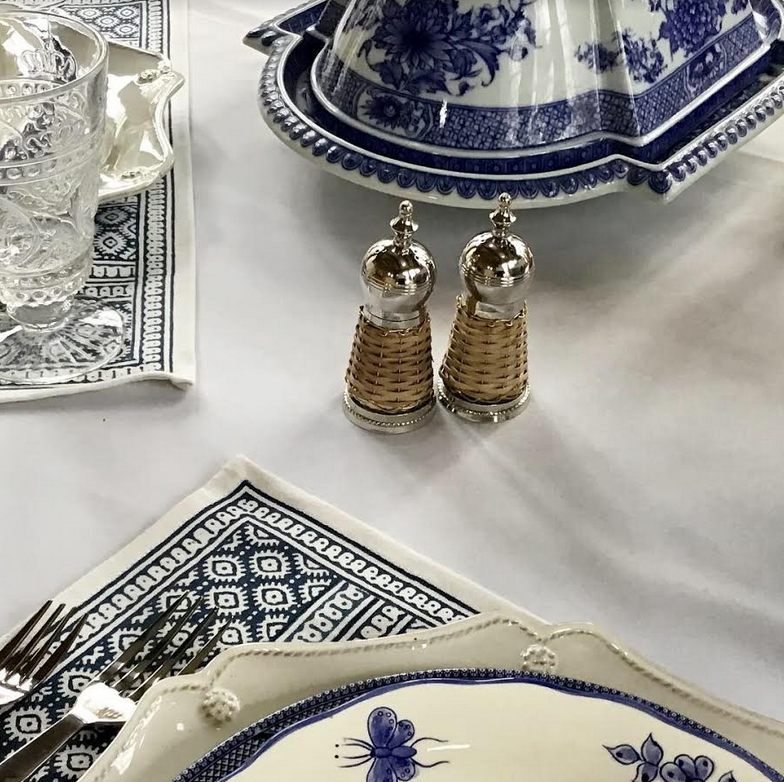 Click here to see all porcelains. 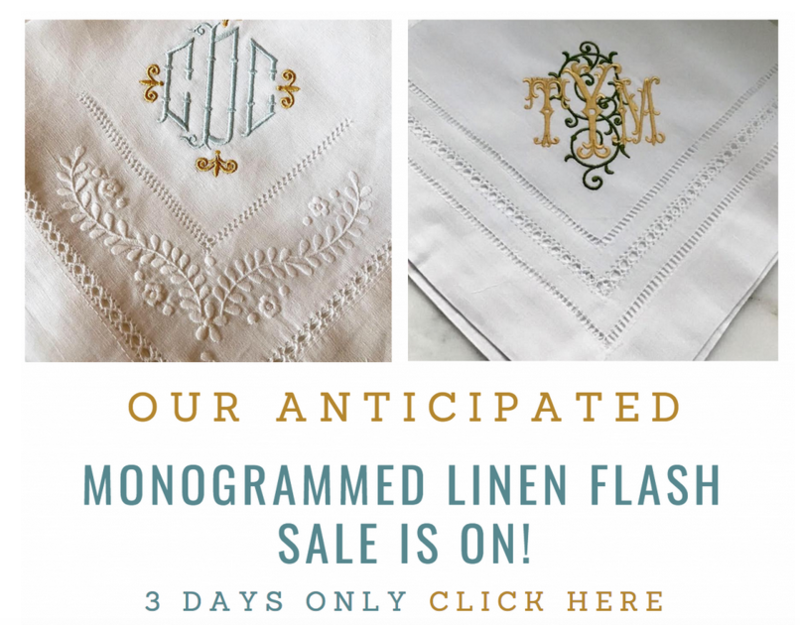 PS Second day of our incredible monogrammed linen sale is on! Limited numbers of each style, this is one all hostesses need to see, click here to see the sale. I agree, dining alfresco is the best. How nice it will be when you can do so with your new, lovely designs. Stay warm. It looks beautiful Tina! I am sure that your friend and fellow guests will love it! 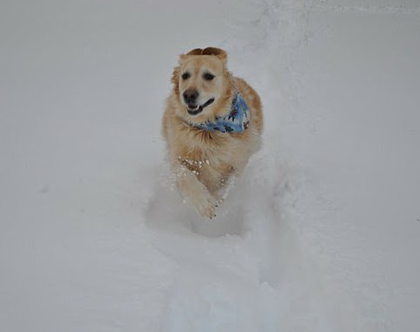 Safe travels to all who are traveling this week with all of the frigid temperatures. 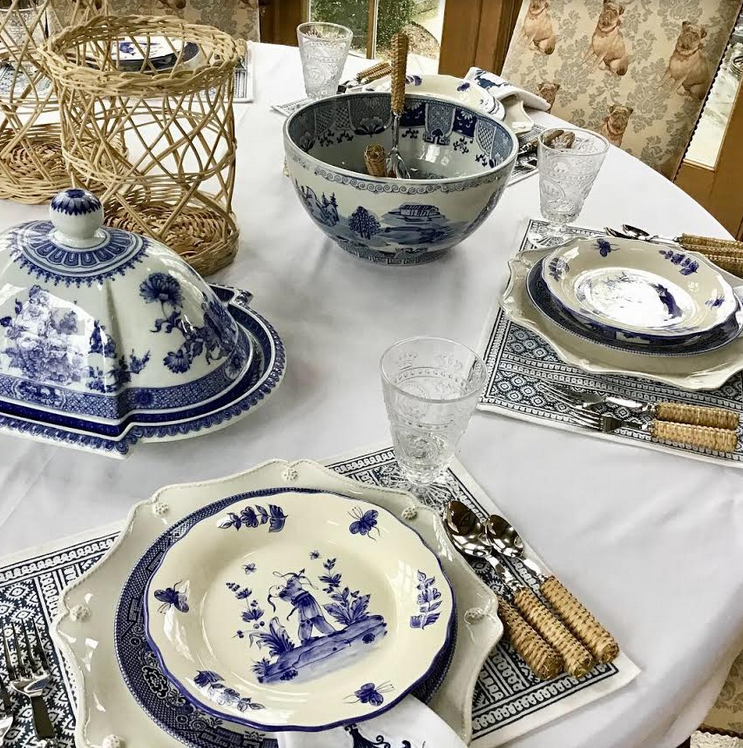 Lovely table setting, just what we needed on this actual temp of -19 day! Looking forward to warm sunshine filled days outside! Ah! 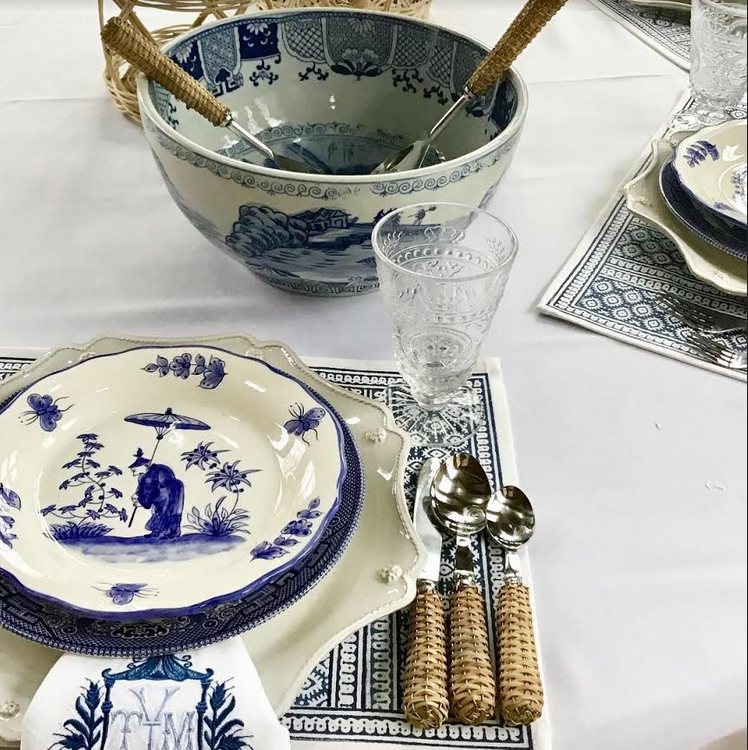 You’ve just inspired me to get out of January a couple of days early and set my table with my blue-and-white wide striped cloth, ala Carolyne Rhoem. 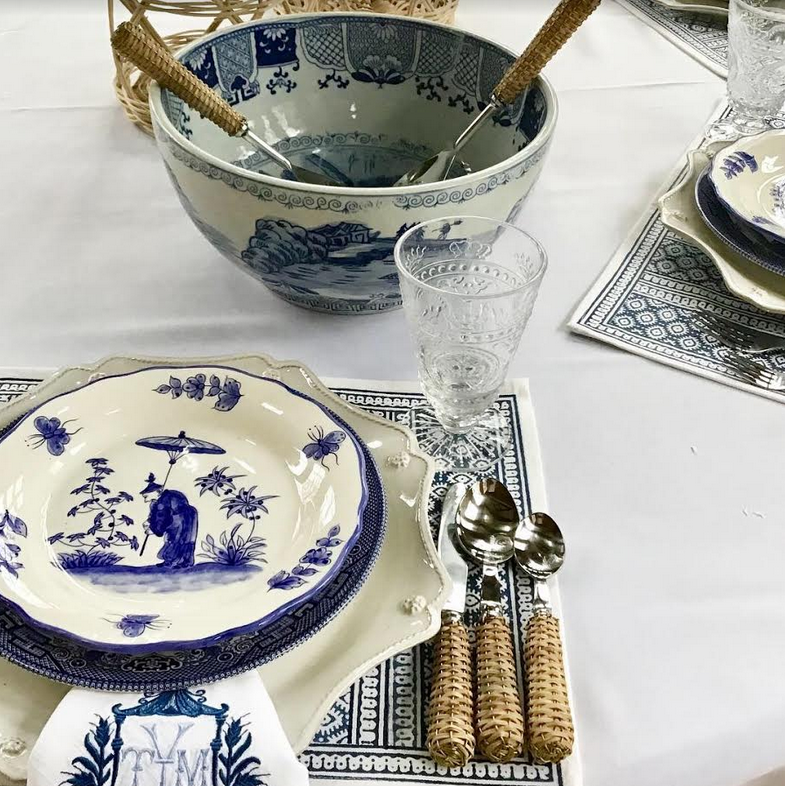 Instead of bamboo flatware, we really like our Blue Willow porcelain handled flatware from your studio shop. I usually layer blue woven placemats over the table cloth, then set out our Blue Willow dishes. No flowers? Then the soup tureen will do quite nicely, filled with a lobster/corn chowder. 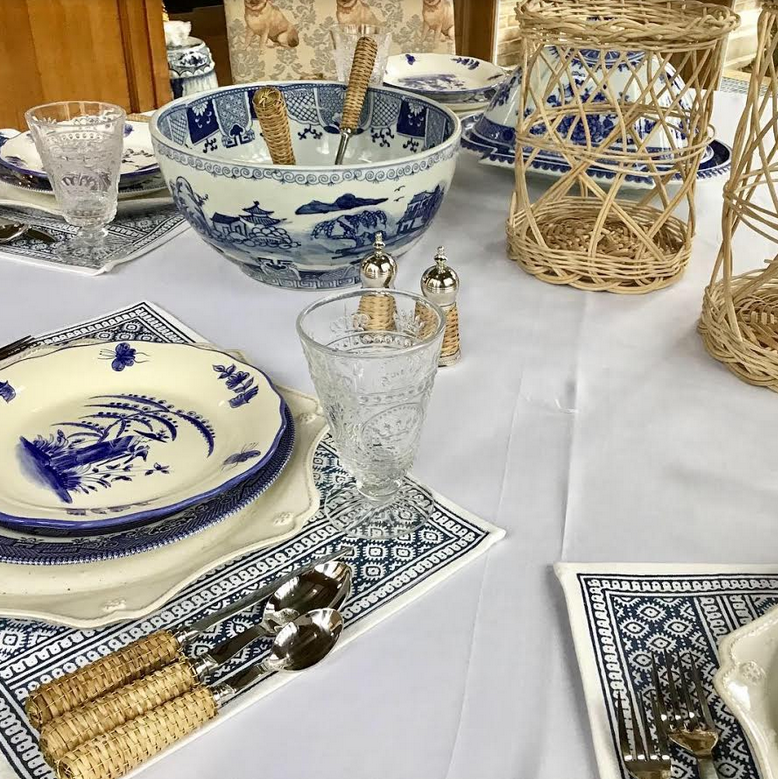 Beautiful table setting! Nothing like setting a table. Very civilized! Blue and white my favourite. 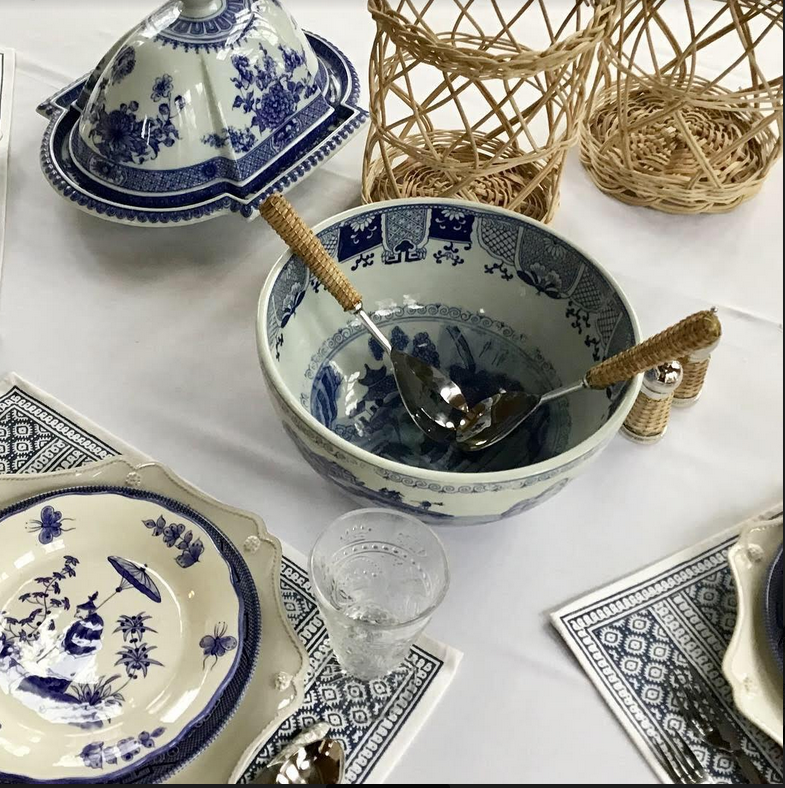 How do you clean the wicker handles on the utensils? Beautiful table setting – love the glasses! How do you wash basket weave flatware? Will water harm it?